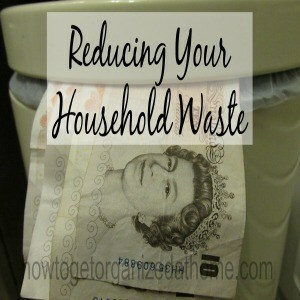 If you are looking at making the money, you earn a top priority and want to ensure that it has worked hard, then stop throwing money away, consider reducing your household waste. It will mean that the money you spend isn’t just going in the trash and filling up your local landfill site, you are putting your money to work hard for you. It is probable that there are areas where you had not considered ways to reduce the amount of money you waste, by just throwing it in the bin and so ending up harming the environment. It might seem an odd thing to do but if you are spending your hard-earned cash on items, why then throw them in the trash. Many products, purchased each year, end just thrown away. This is a waste of your money; by being conscious about what you throw away, might make you think about the purchase in the first place. Reducing the amount of household waste you produce means that you are not throwing good money away and creating problems for future generations, who have to sort out the problems we leave behind. Some simple things that you can do every day, to reduce how much you are putting in landfill sites near to where you live and could save you money too. When buying groceries, think of the packaging they come in; the more packaging, the more companies are going to charge for that item which can increase the price you are paying. Think about the shopping. How many times do you grab one of those carrier bags at the shops and the only place it goes when you get home is the bin. Not only is this wasteful, the carrier bag also harms the environment, they take a long time to decompose and often end up flying away in the wind. Animals eat them and die trying to get items out, or confusing them for actual food items. They are dangerous; however if you use reusable bags, it saves the rubbish that you throw away and saves you money in the shops. Don’t buy more food than you can eat. How many times do you go in the fridge or the fruit bowl and just bin the contents because you forgot it was there? This is a waste of money, some of the produce might be good enough for composting. This way at least your garden will benefit and not add to the rubbish accumulating in the landfill sites. It is difficult to stop some of the mail that comes into your home, but it is possible to prevent some items by registering for not to receive any junk mail. If you have bills that come into your home, you can opt to see if the company will allow you to go paperless, you can then check and pay them on-line and this can save you money. The company might even reduce your bill. I opt for this method of receiving most of my bills but I allow junk mail because it is great for creating paper logs for my fire, for free. It is not impossible to find places to recycle; your council might collect some of it from outside of your house. My local council collects paper, plastic, glass, tins and garden waste. Some councils charge for collections of some household items, others you might have to find a recycling centre, again speak to your council to see what they can do for you. Therefore, you might not have thought about the money that you throw away every single day. Look at ways that you can save money, which will be beneficial to you and your family. Make sure the money you have coming into your home gets used wisely and doesn’t just end up in a landfill sites. These are all great tips! I do some of these already, but definitely could stand to improve! Pinning for future reminding! It’s hard to not waste food but when I meal plan it works much better for me. Meal planning can be a pain but if it saves me money I’m in! Great post! I really want to start recycling this year. It’s something that has been on my to do list for a very long time! I also need to opt out of junk mail. WAY to much in my mail box! Great tips, with almost grown sons, food is never wasted in our house! Great tips! I’m working really hard in our house to stop the food waste! I hate that we throw out so much! Thanks for visiting Tiffany, I hate throwing stuff away too! Thanks for linking up to “Tuesday Talk”~ So glad you shared your great tips with us! Thanks for visiting, I will be there at Pincrazy Thursday! Thanks for linking up with Motivational Monday. This is a great post, I love the tips. I’m trying to be better about eating what I buy at the store. It drives my husband crazy to throw out things that go bad. Thanks for visiting I hate throwing things out too!